In order to run a polio vaccination campaign in Afghanistan and to stay alive while doing so who's permission and protection you need? Health workers in Afghanistan feel safer carrying a piece of paper, a letter of introduction from Mullah Omar, leader of Afghan Taliban who has been in hiding since the US invasion of Afghanistan. Apparently a copy of a piece of paper with Mullah Omar's signature provides you more security while carrying out social work than a US army hummer. The WHO and Unicef, who are running these polio vaccination campaigns, like other UN agencies have been banned from engaging with the Taliban since the security council blacklisted them as terrorists after 9/11. In order to carry out essential vaccination campaigns they contact Mullah Omar through the International Committee of the Red Cross, the only international organization that maintains regular communications with the Taliban command and act as an intermediary every time a new letter of support is needed. "For U.S. military commanders in Afghanistan, the arrangement represents a moral dilemma. Coalition military officials shy away from criticizing the WHO and Unicef for reaching out to the Taliban. Nevertheless, the fact that the international community and Afghan government authorities must request Taliban permission to operate in large parts of the country makes some Western officials wince. "It's a pact with the devil," says one senior Western diplomat in Kabul. "But it's a pact in order to save lives." Taliban control over one third of Afghanistan while president Karzai's influence is limited to urban areas. Since Mullah Omar's first letter was issued, in August 2007, vaccinators gained entry to dozens of previously out-of-bounds villages, WHO officials say. More importantly, the Taliban endorsement allowed many vaccination teams that considered pulling out because of safety concerns to continue operating in other districts, even as fighting intensified. 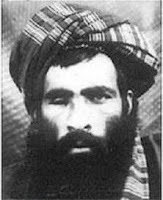 Mullah Omar's cooperation with Afghanistan's polio drive contrasts with the ban on polio vaccinations imposed by leaders of the separate, but affiliated, Taliban movement in neighboring Pakistan...Antipolio campaigns have long been opposed by conservative clerics across South Asia as an American-led conspiracy to sterilize or poison Muslim children. This is a key reason why the disease persists in India and Pakistan. Afghanistan's Mullah Omar adopted the opposite approach. His letter, viewed by The Wall Street Journal and issued on behalf of the movement's parallel government, the Islamic Emirate of Afghanistan, urges all jihadi fighters and Taliban sympathizers to work with Unicef, WHO and the polio teams. It instructs villagers to take children to a specially designated area where they can receive their dose. Since the beginning of Afghan war a major error in US policy in Afghanistan has been that the Americans in their infinite wisdom complicated the problem of international terrorism at hand by putting Taliban and Al-Qaeeda together - exactly the way they got sidetracked in Iraq. Not all Taliban are terrorists - narrowminded fundamentalist bigots for sure but not international terrorists. While a large number of them are thrity year long battle hardened guerilla fighters whose only passion in life is to fight against an enemy, many of them are still looking for legitimacy as real rulers of Aghanistan. Mullah Omar has not turned a social worker overnight. Signs are that he wants to engage. Long term solution to the Afghan problem is not in more Nato soldiers, it is in engagement with moderate Taliban elements. It is time to do a pact with the devil!